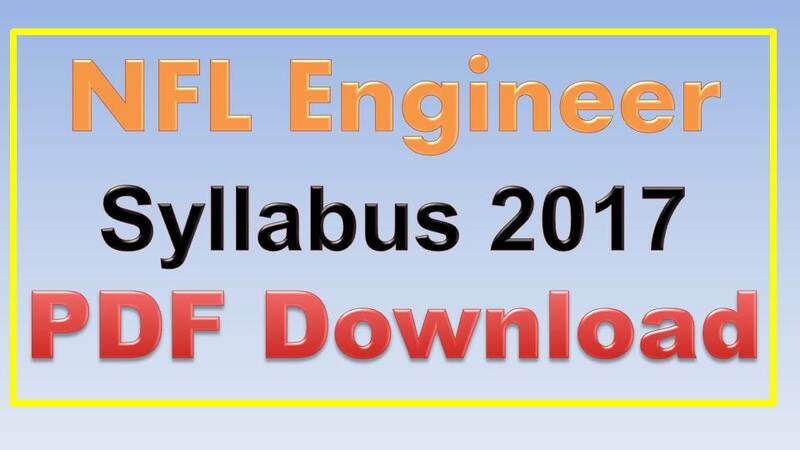 NFL Engineer Syllabus 2017: Hi Viewers this article having the Information about the National Fertilizers Limited Engineer Syllabus for Civil, Mechanical, Chemical, Electrical and Instrumentation Syllabus PDF. Recently NFL Engineer recruitment notification 2017. This recruitment notification total 65 number of vacancies filling this year 2017-2018. NFL Engineer Syllabus and Exam Pattern enclosed here. Eligible Candidates who have applied for the National Fertilizers Limited Engineer recruitment can check the NFL Engineer Syllabus 2017 from this post. National Fertilizers Limited has announced that candidates will be able to apply for Engineer Posts 2017 for recruitment to 65 jobs in various departments. Applicants who want to get job in Uttar Pradesh can apply this post. For more details regarding NFL Engineer Recruitment 2017 please check here. Automation, CNC Machines and Robotics etc. Computational Methods In Engineering Etc.